The suspect product was part of a single production run. This voluntary recall is limited to 62 15.5 lb. 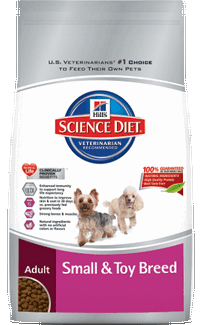 bags of Science Diet Adult Small & Toy Breed dry dog food with the Stock-Keeping Unit (SKU) code, “Best before” date and production code shown below. The SKU number is located on the bottom of the bag, both side panels and on the back lower right hand corner below the UPC code. The “Best before” date and production code is stamped on the top, middle of each bag. 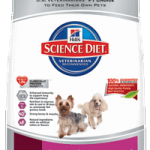 Consumers who may have purchased any of these specific bags of Science Diet Adult Small & Toy Breed dry dog food shoulddiscontinue use of the product and immediately and call Hill’s Pet Nutrition at 800-445-5777 Monday through Friday during the hours of 7am-7pm (CT). This voluntary recall does not impact any Science Diet Adult Small and Toy Breed products with different “Best Before” dates or any other Science Diet products.